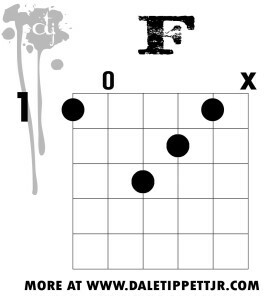 The F chord has to be the one voicing that ruins every beginning guitarist’s day. 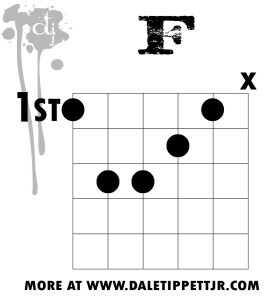 The first version of the chord you’re shown is usually all high strings with a short barre on the E and B strings. It’s way too thin. Especially on a solo acoustic guitar, I usually want a full, lush sound, like I get on an open E or G chord, but that 4-string F voicing is all highs and mids with no BODY to it. The short barre at the top is crazy uncomfortable, beginners get a bad buzzing sound or sloppy muted noises on the high E string. In the context of a song, it’s really kinda useless. Boo. Next Voicing you learn is the big barre chord version, spanning all six strings, like a big, fat E chord. The beginner’s hand get’s tired, and there is much complaining. AND it takes forever to get your hand into position. Screw that. There’s gotta be an easier way that sounds good too! 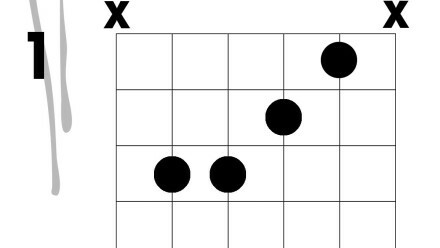 This voicing adds a lower note (C, the fifth) to round out the low end and, in fact, give the aural illusion that you’re using the the low E string. The mid-range aspects of this F chord voicing is great, because it leaves room for vocals to fit in the sonic space around it, a bass player can catch the low tonic or third if desired, and it’s faster to grab than the big barre chord. Great thing about this voicing is that it’s movable. 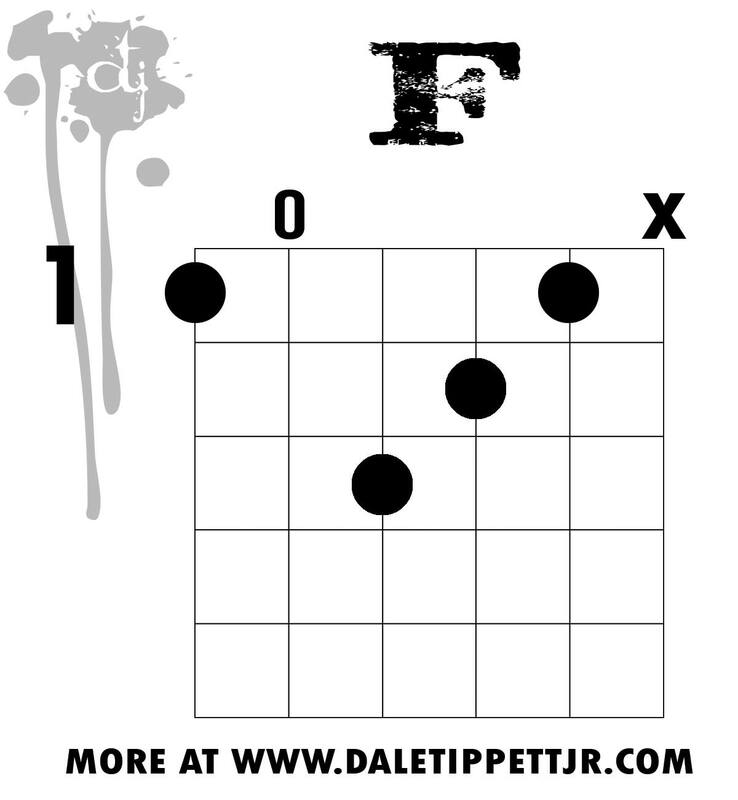 Wherever your pinky is, that’s the name of the chord, so go play! Half step up is Gb, then G, Ab, A, etc. Not too different, but playing these gives you back any low end you might be missing. The highs are again, unnecessary. The first one is more useable, as far as my play style is concerned. I do tons of solo acoustic gigs, and it serves me well. The second voicing brings out a low third on the open A string. The benefit of this is that it gives the chord an easier way to match the timbre of the chords around it in a situation where you are playing a lot of open cowboy chords. Use it as the IV chord in C, or the I chord in Amazing Grace (in bar 2 though) and you’ll hear the diference, and why it’s significant. 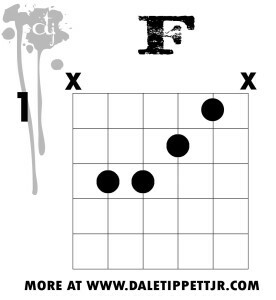 There’s a TON of variations I use based on these voicings, but we’ll hit them later. Yes it’s a problem. Not for folks who dedicate their lives to guitar, but for nice people that want to play a few songs, then get told they have to stop having fun and learn the hard stuff.